Making new discoveries at a museum can be great fun. Opportunities for such discoveries abound at the following nine museums that are newly opened or reopened following relocations or expansions. The Broad—Los Angeles. 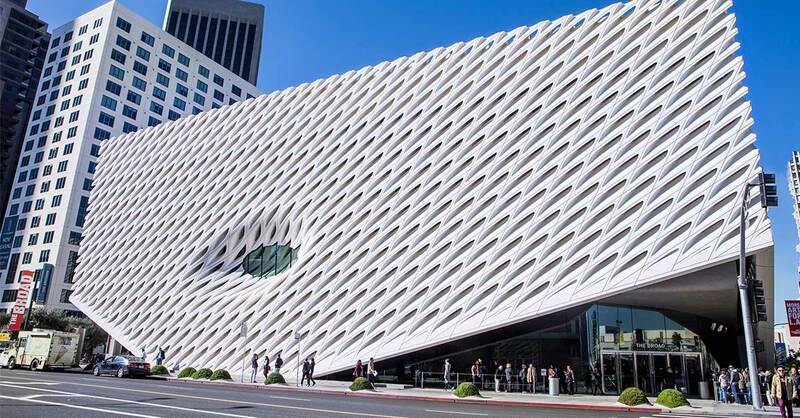 Opened last year, this museum contains the impressive collection of postwar and contemporary art assembled by philanthropists Eli and Edythe Broad. The building itself (shown above) looks somewhat like a giant concrete sponge on a pedestal with a glass indent in the middle. Among many notable works are Jeff Koons’s colorful, edgy paintings and Roy Lichtenstein’s comic-book–like pop art. Don’t miss: There are windows on the landing of the stairs connecting the gallery floors that offer a look into the Broad’s vault—it’s a chance to spot some of the museum’s holdings that are not currently on display. San Francisco Museum of Modern Art. The Bay Area’s most beloved museum recently reopened following a $300 million expansion that more than doubled its size. One notable touch is a green “living wall” that comprises nearly 20,000 plants. The museum has one of the larger collections of post-1900 art in the world, with more than 32,000 works by artists such as Braque, Klee, Magritte, Matisse and Picasso. The recently acquired Fisher collection, donated by Gap founders Donald and ­Doris Fisher, could be an art museum on its own with more than 1,100 works including 21 by Andy Warhol and 45 by Alexander Calder. Don’t miss: The Pritzker Center for Photography on the third floor. The space dedicated to photography has nearly tripled. UC Berkeley Art Museum and Pacific Film Archive—Berkeley, California. Reopened early this year at a new location across the street from the University of California’s Berkeley campus, this visual arts center houses a film archive and a museum with works ranging from Neolithic ceramics to contemporary paintings. The modern art collection features Rothko and Pollock paintings. Don’t miss: The film showings. The archive contains more than 17,000 films, and there are frequent showings of old movies, art movies and foreign movies you might not see anywhere else. Whitney Museum of American Art—New York City. 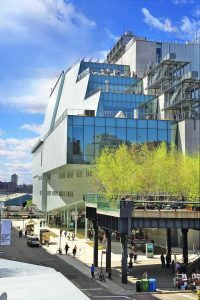 The Whitney, which houses one of the foremost collections of American modern and ­contemporary art, moved last year to a new industrial-looking building in Manhattan’s trendy Meatpacking District, next to the High Line elevated walkway. It was designed by famed museum designer Renzo Piano, who also designed Paris’s Pompidou Center. The collection includes works by artists such as Alexander Calder, Jasper Johns, ­Georgia O’Keeffe and Claes Oldenburg. Don’t miss: Large outdoor balconies on several floors—including one on the eighth floor with a café—feature dramatic views and a variety of sculptures. International Center of Photography—New York City. This mecca of photography relocated from midtown Manhattan to a larger space in a rapidly gentrifying section of the Bowery. Its permanent collection contains more than 135,000 photos that together tell the entire history of ­photography. Don’t miss: A current exhibit—Public, Private, Secret—uses photos to explore what privacy means in today’s society. National Museum of African American History and Culture—Washington, DC. 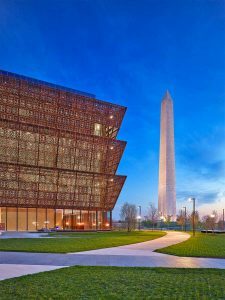 This newest Smithsonian museum, designed as an inverted step pyramid clad in bronze-coated panels, evoking a tiered African crown, will open on the National Mall following 13 years of planning and construction. The building was designed by ­David Adjaye, who also designed the Museum of Contemporary Art in Denver. Its collection is extensive and impressive—the thousands of holdings range from a Bible owned by Nat Turner, the leader of an 1831 slave revolt…to a fedora worn by pop star Michael Jackson. Don’t miss: The museum’s Contemplative Court is a wonderful place to reflect on the exhibits or simply take a quiet break during a busy day. National Blues Museum—St. Louis. This new museum explores the history of blues music from the African rhythms that form its roots to the influence of blues on pop and rock music. A video featuring Led Zeppelin’s Robert Plant explains how the blues of the Mississippi Delta influenced 1960s British rock bands such as the Beatles and Rolling Stones. The museum includes a nightclub that hosts live music. Don’t miss: The Jug Band room. You learn to play a jug band instrument such as spoons or washboard along with on-screen virtual performers. Whitney Plantation—near Wallace, Louisiana. This 18th-century indigo and sugar plantation 45 miles west of New ­Orleans recently opened to the public as a museum and memorial. It tells the story of American slavery without any romanticized Gone With the Wind ­veneer. Many buildings on the property are re-creations, but several are original and date to the time of slavery, including two slave cabins. Scenes from the 2012 movie Django Unchained were filmed on the ­plantation. Don’t miss: The Wall of Honor, which lists the names of more than 350 people who were enslaved on the plantation. Grammy Museum—Cleveland, Mississippi. This new museum located on the campus of Delta State University, two hours south of Memphis, chronicles the history of American music. Plenty of impressive musical artifacts and instruments are on display—the museum has one of B.B. King’s guitars, for example. But some of the most memorable exhibits are more immersive and interactive. You can record your own blues songs in one of the museum’s “producing pods,” for example. Don’t miss: The museum’s dance floor. You can learn some new dance moves and try them out.